Do I have to get my car totaled? I want it to get repaired. 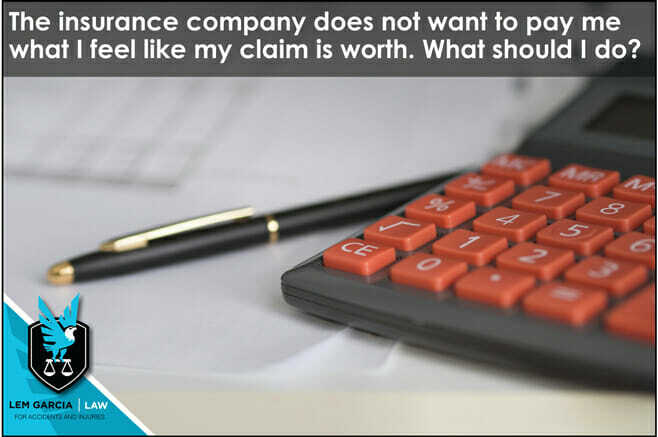 If you are handling your car accident claim on your own, the insurance company most likely will not pay you what you feel like your claim is worth, let alone tell you the maximum amount that they are willing to pay. The insurance adjuster’s job is to settle as many cases as possible as quickly as possible and for as little as possible. They do not have an interest in paying you what you believe your claim is worth nor are they interested in making sure that you are happy with the result. They want you to sign the settlement release for as little as possible so they can save money and move on to other cases that they are handling. If you have been handling your car accident case on your own and are getting lowballed by the insurance company, it is time that you speak with an experienced personal injury lawyer to help you maximize the value of your case. The insurance companies understand that when you have an attorney involved, their insured might get sued for the damages that they caused, which means that they will have to hire an attorney to represent their insured. The insurance company wants to avoid a lawsuit and will usually pay you more for your case because you have an attorney involved. Yes, you will have to pay attorney’s fees, but in the end you will still more likely receive more money than if you settled the case on your own. If you continue negotiating with the insurance company, you will most likely only spend more time arguing with them without getting any more money in return. Don’t let them frustrate you and stress you out. Personal injury attorneys handling cases and claims all day long and know what the insurance adjusters are up to and know how to get more money for you in the end. When you have an attorney handle your case, you do not have to worry about dealing with the insurance company and filling out paperwork. An attorney will make sure that they handle communications with the insurance company so that you can focus on getting your health back. After a car accident it’s important that you’re able to focus on what matters most – your health. You should not have to worry about dealing with insurance companies and callous insurance adjusters. Don’t be a victim twice. Make sure to talk to a lawyer after you’ve been injured in a car accident. West Covina car accident attorney, Lem Garcia, provides free consultations to people who have been injured in car accidents. Call today for help.